Ignoring the warnings I'd seen plastered around independent bookstores and many a newspaper article decrying the slow digital death of literature, I nevertheless took the plunge and bought myself Amazon's latest e-reader, the Kindle Touch 3G. Here are some of my thoughts on the contentious but strangely lovable infinite window into the world of text. When I was studying for my MA in English Literature, I quite literally found myself surrounded by books. My bookshelf overflowed and gave birth to piles on my desk, my coffee table and even clumsy stacks leading up the stairs. That's not even mentioning all of the notes, quotes and secondary material that fluttered in and out of lever arch files. After completing the course I kept my books around as trophies, but it took me a full year before I plucked up the courage to read a book cover-to-cover again, and even now I'm still a little nervous around the little paper buggers. This might have been a moot point, had I not fairly recently moved half way around the globe, leaving behind in boxes and charity shops all but a select few of my books. Rather than begin another collection all over again, it was clear that a fresh start was needed. 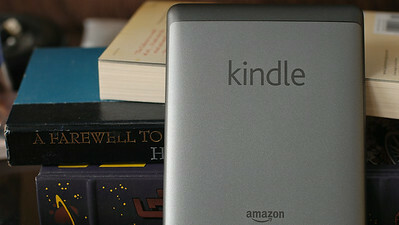 Announced in late September 2011, the Kindle Touch is internet behemoth Amazon's latest iteration of e-readers, and currently retails for $99 for WiFi and $149 for WiFi+3G models, both of which feature unobtrusive sponsored advertisements, which can be removed for an additional $40. If you live outside of the USA you will have to pay the $40 fee on purchase. 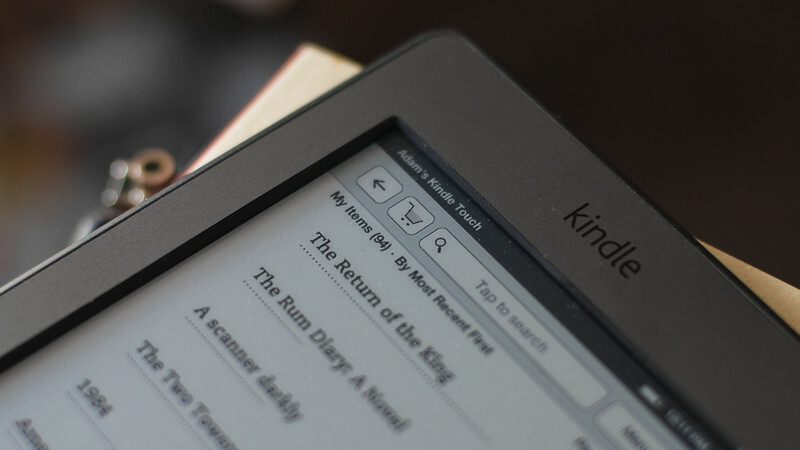 The Kindle Touch 3G weighs in at 7.8oz and features a 6" 800x600 E-Ink touch-screen display complete with a staggering 2 months(!) battery life, at least when all wireless connections are turned off.The display is surprisingly crisp and with it not being backlit, doesn't give you anywhere near as much eye fatigue as you would get from reading on a LCD display, such as a computer screen or Android / iPad tablet. I used a couple of generic brand e-readers and the Kindle Keyboard (also known as the 3rd Generation Kindle) briefly in my previous job in the UK, and I can't say that their 1990's style clunky electronic design really grabbed me. The page turn buttons were too easily pressed by accident and the keyboard itself felt a little superfluous, unless you take a lot of annotations. 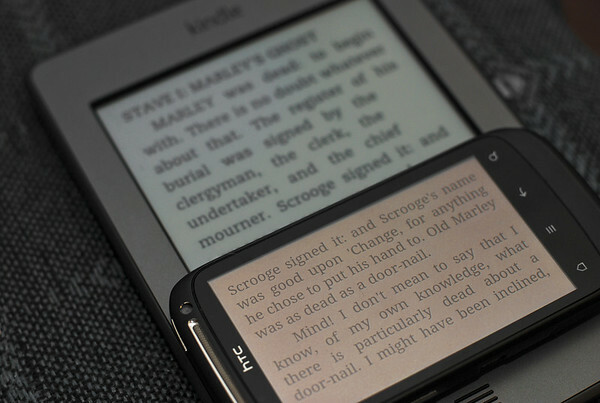 The latest generation of touch-screen e-readers such as Barnes & Noble's Nook Simple Touch and Amazon's Kindle Touch really did away with a lot of the negative sentiments I felt towards these earlier models, and their E-Ink displays continue to present an ever more accurate simulacrum of the printed word. But it's not just the specifications or the physical appearance of the thing: this is the digital age! The age where content is emancipated from form, and very easily duplicated and synchronised. One of the best things I've found is what Amazon refers to as Whispersync. The free service remembers how far you've read into a text and synchronises it with any other device using the Kindle application, which is currently available for Windows, OSX, Android and iPhone platforms. Leaving my Kindle Touch at home, I picked up where I left off on my mobile phone and came back to find that my Kindle had updated to my furthest reading position. Pretty nifty. You can even synchronise your annotations across devices and see popular annotations from other people, if you so please. Currently Whispersync only works with content purchased from Amazon's Kindle store, but it's quite a lovely feature nevertheless. The store itself is clearly laid out and I found that, at least for me, the biggest selling point was the hundreds of free classic books from almost all of the big names of the 19th century, such as Dickens, Wells, Hardy, Eliot, Brontë and so on. These are the works I'd usually rummage around second-hand book stores to find and they're all available for free to read on multiple devices. Welcome to the 21st century. I'm glad that I held out for a touch-screen model of the Kindle, as it's really made the digital reading experience grow on me. Personally I find that tapping the page to continue makes more sense than having easily knocked buttons on the side of the device. The whole experience is well thought out and, at least for text-based publications, works surprisingly well. The e-book market might be just starting out, but with Google (Google Books) and Apple (iBooks) entering the market, e-readers certainly won't be going away any time soon. That being said the Kindle Touch certainly isn't for everyone: if you find that you read more magazines or want the ability to watch videos on the device, then an Android tablet such as the Kindle Fire, or even an iPad might be better suited for your needs. 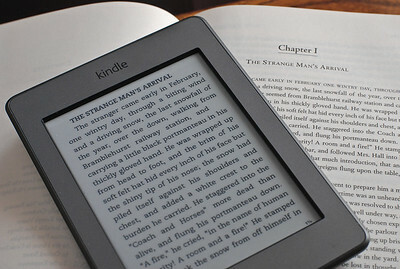 For an English literature graduate however, the Kindle Touch brings the stuffy old world of literature kicking and screaming into the 21st century. And at the very least it makes it less likely that you'll trip over a pile of books as you go up and down the stairs.